HPCET Cutoff 2019: Candidates who have taken the examination will be able to check their result and HPCET cutoff 2019 in the online mode after the examination has been conducted. 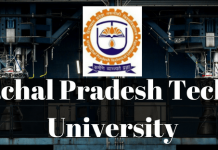 Himachal Pradesh Technical University will release the HPCET cutoff 2019 on its official website which is himtu.ac.in. The cutoff will be prepared while keeping various factors in mind. Only those who have met the required cutoff will be listed under the merit list of HP CET 2019. A cutoff is the minimum qualifying marks that the candidate must obtain in order to take part in the further procedure of HPCET counselling 2019. When both candidates have the same total marks in HPCET 2019, the marks scored in HPCET Physics paper will be considered. The higher score candidate will get the seat. If the tie still continues, the higher rank will be given to the candidates who has higher marks in chemistry paper. If the tie is still unresolved, the marks of the qualifying exam (10 + 2) will be considered. If the tie still remains, the seat will be given to higher age candidate. Those who have met the said HP CET cutoff 2019 will be listed under the HPCET merit list. There will be a separate merit list for JEE Main 2019 candidates. The merit list will be released after the result has been declared.